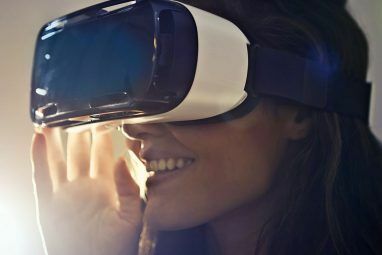 In the beginning, Oculus Rift content was rather scant 5 Oculus Rift Demos That Will Blow Your Mind 5 Oculus Rift Demos That Will Blow Your Mind Forget the Playstation 4 or the Xbox One - I've seen the future of gaming, and it is neither of them. The Oculus Rift is amazing - and with $16 million in fresh funding, the... Read More , it must be said. But now that the second generation of Oculus Rift development kit Oculus Rift Development Kit 2 Review and Giveaway Oculus Rift Development Kit 2 Review and Giveaway It’s been a year since the first Oculus Rift Development Kit was released, and it’s safe to say the world of gaming will never be the same again Read More is out and in the hands of developers the world over, let’s look at some of the best stuff that’s hit the Rift so far. Many people lamented the fact that Minecraft would never be made Oculus Rift compatible, after it’s creator Notch saw the Facebook buyout as literally the worst thing that could ever happen. But the truth is that a superb mod to make an Oculus Rift mode for Minecraft had already been made, and it’s now received a full update for DK2 with positional tracking. The simplicity of Minecraft lends itself incredibly well to the Oculus Rift – there’s no need to suspend disbelief of “lifelike” textures, so you’re free to enjoy the world as intended. It’s a complete digital Lego set, and a stupendous amount of fun. If you still haven’t given it a go, check out my Latecomer’s Guide to Minecraft The (Latecomer) Beginner's Guide To Minecraft The (Latecomer) Beginner's Guide To Minecraft If you're late to the party though, don't worry - this extensive beginner's guide has you covered. Read More to whet your appetite (the sheer freedom of Minecraft can be a little off-putting for beginners), then be sure to get familiar with the game outside of VR first. When you’re ready to truly experience the MineCraft world you’ve created, install the Minecrift mod and prepare to blow your mind with the scale of the world. Currently on IndieGogo but with an immense demo level freely available to download, Windlands is a professionally polished 3D platformer in which you use ropes and grappling hooks to explore the levels (a Spiderman simulator?). I was going to record a video of this, but then I realized I was absolutely hopeless at platformers and spent most of my time running around on the ground and falling off things – but if you have the knack for this kind of game, I promise it’ll be an immersive and satisfying Rift experience. Best played with an Xbox360 controller and possibly not ideal for Rift newbies due to all the swinging around and flying through the air – this can be quite sick-inducing. As someone who doesn’t generally like racing games, TrackMania is actually pretty cool – it plays like a mix between MicroMachines and Wipeout, with absurd physics, terrible handling and harmless collisions. The controls are so simple that you can’t really go wrong (on some user created tracks, simply pressing forwards is enough to complete the level), while the high octane tracks offer a unique experience for the Oculus Rift. The game is free to play for the first 48 hours and time limited each day after that. It comes with great DK2 support. What more could you ask for? Technoloust is a gritty cyberpunk thriller/adventure game. With a simple point and click interface, you’ll find yourself inhabiting a believable 1984-Bladerunner-esque dystopian future. The game is very much in it’s early stages and the DK2 compatible beta demo is only available to those who pre-order the full game, but this is definitely something you won’t want to miss as an example of virtual reality done well. Goat Simulator Goat Simulator Is Here and It's Everything You Dreamed It Would Be Goat Simulator Is Here and It's Everything You Dreamed It Would Be What happens when a joke video posted on the Internet generates so much hype that it actually becomes a real video game? Goat Simulator happens. Read More was stupid yet oddly compelling, and it’s there that the similarities between that game, and A Night At The Roculus, both begin and end. This simple demo can be accurately described as a head-bobbing-while-sitting-in-car-listening-to-90s-music simulator. Like Dance Dance Revolution, only for lazy people, and with good music instead of mind numbing Japanese pop tunes. Look – just give it a go, ok? The average 4.4/5 rating on Oculus Share can’t be wrong! I promise you won’t be disappointed, though I use “promise” and “disappointed” in the loosest meaning possible. More than suitable for Oculus beginners. Well, those are my favourites. 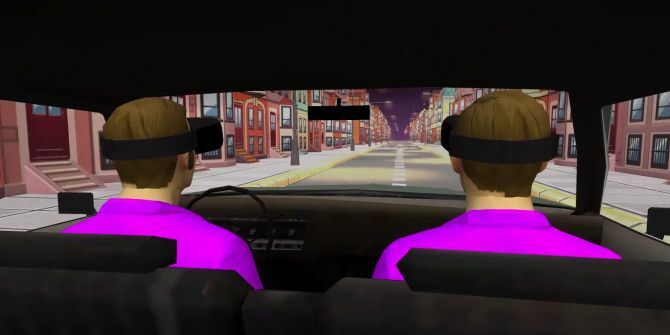 Maybe these terrifying Halloween demos 5 Horrifying Oculus Rift Demos Perfect For Halloween 5 Horrifying Oculus Rift Demos Perfect For Halloween Relive your favorite scariest movie - it's the immersive properties of the Oculus Rift that make it precisely so great for gaming, and particularly horror. 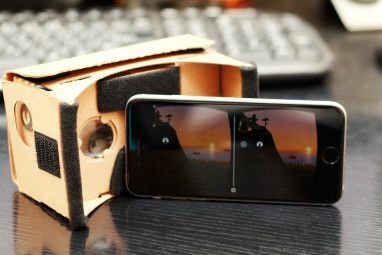 Read More are more your thing; or maybe you think the amazing non-gaming ways the Rift could be used 5 Amazing Non-Gaming Ways People Are Using Oculus Rift 5 Amazing Non-Gaming Ways People Are Using Oculus Rift "It's just a gimmick." That's what people said about the Wiimote, the Kinect, and more recently Google Glass, and that's what they're saying about the Oculus Rift. If you're one of them, I implore you... Read More are the most exciting. Tell us – what are your favourite Oculus Rift gaming experiences so far? Do you have an idea you’re just itching for someone to make? I'm more excited for the possibilities of games like mirrors edge and skyrim. I think it would be fun to try call of duty with this too where aiming is actually going to be a skill. The only thing more mind numbing than Japanese music is Japanese "architecture." For a moment I was very offended by "mind numbing Japanese pop tunes", then I noticed the author doesn't seem to recognize the Night at the Roxbury sketch. Had to look that one up. I'm a brit, we didn't do SNL, so no, that reference went whoosh right over me. And as someone who actually lived for 7 years of my adult life in Japan and would spend many nights watching my high schools students dance parapara down the local station (big glass windows are great to practice in), perhaps you should take things in a more light hearted manner in which they were intended.